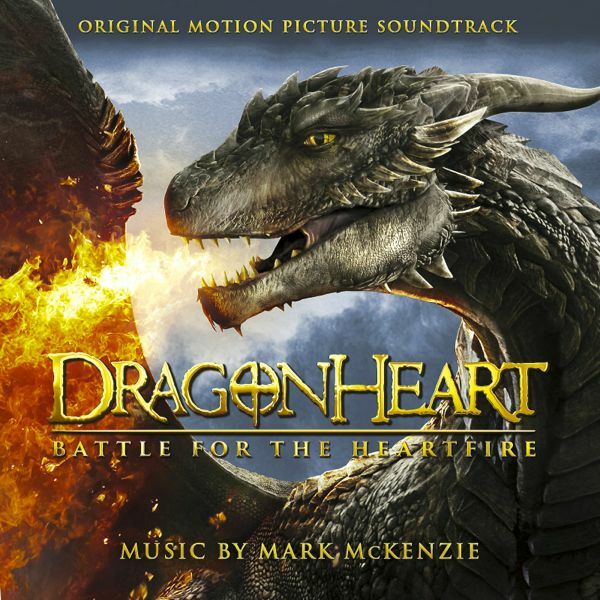 We are thrilled to announce Mark McKenzie’s exciting new action, thriller, adventure and at times meditative and reflective Soundtrack DRAGONHEART: BATTLE FOR THE HEARTFIRE. Be sure to check out this exciting film with Patrick Stewart voicing the dragon on Netflix or DVD. The colorful music includes a rich pallet of electronics textures, crystal glass variations on a chaconne, celtic dances, powerful percussion, poignant solo cello and new electronic arrangements of Edelman’s iconic Dragonheart theme. The film based on Matthew Feitshans’s beautiful story, is directed by the Patrik Syversen and produced by Raffaella De Laurentiis. Hard to pick but some of our favorite tracks are the meditative #19 “Truth and Love Bring Healing,” #20 the action sequence “Hurry Get the Heartfire” and the grand finale #21 “Ascension to the Heaven’s” with Randy Edelman’s iconic Dragonheart theme. You can purchase and rate the music on iTunes or Amazon (less expensive there) and if you like the music, we really appreciate our friends spreading the word. Special thank you to the Universal family: director Patrik Syversen, Producers Raffaella De Laurentiis, Hester Hargett-Aupetit, Patti Jackson, Share Stallings, writer Matthew Feitshans, Editors Charles Norris, Maria Friesen, Music executives Jake Voulgarides, Mike Knobloch, Rachel Levy, Angela Leus, and Nikki Walsh.